PESA’s 2015 Supply Chain Seminar, The Changing Oil & Gas Market and the Impact on Supply Chains, was held Wednesday, February 18, 2015, in Houston and featured four of the industry’s top experts in Supply Chain Management. Brent Shinall, VP of Supply Chain Management at Rowan Companies, made several key points regarding the importance of supplier relationship management that can optimize efficiencies. He pointed out that in a down market, SCM Drivers are critical for success and that cost control through solid inventory management and streamlined logistics drastically improve performance. This was reinforced with an eye towards developing mutually beneficial supplier relationships in Edward Koval’s presentation on using market intelligence as a strategic weapon. 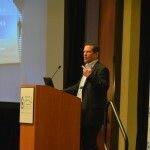 Koval, Chief Procurement Officer & VP Global Supply Chain and Procurement with Spectra Energy, emphasized that strategic sourcing drives the process. 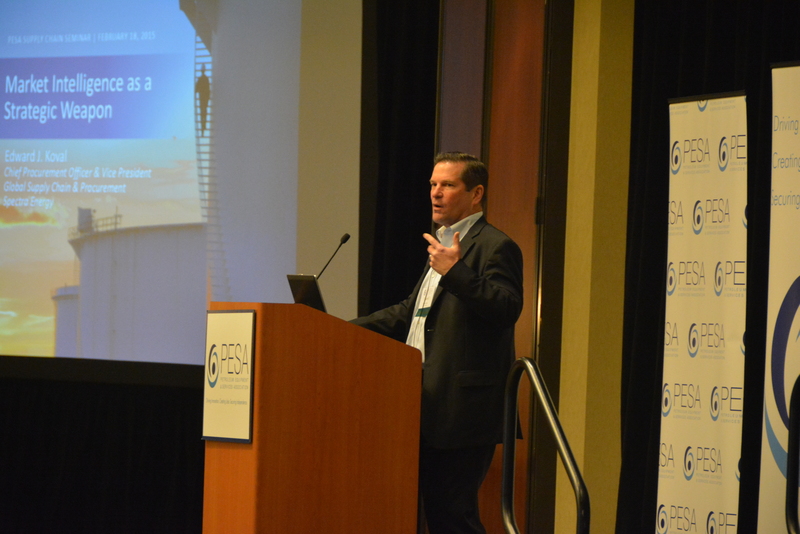 Alexander Robart, Partner with PacWest Consulting Partners, discussed how oil prices will impact the supply chain. PacWest, one of the premier intelligence research firms for the oil & gas industry, predicts that the majority of plays will see major decreases in horizontal frac activity in 2015 due to the decline in oil prices, leading to consolidations. This means that supplier economics are crucial moving forward into 2015 and beyond. Luc Messier’s, Senior VP, Projects and Aviation Chief Procurement Officer at ConocoPhillips, supply chain vision reduces the higher costs impacting returns, as the industry re-calibrates to a “value over volume” mind-set. Owners and suppliers must together face the challenge to reduce supply chain costs which is done by bringing exceptional value through strategic sourcing.